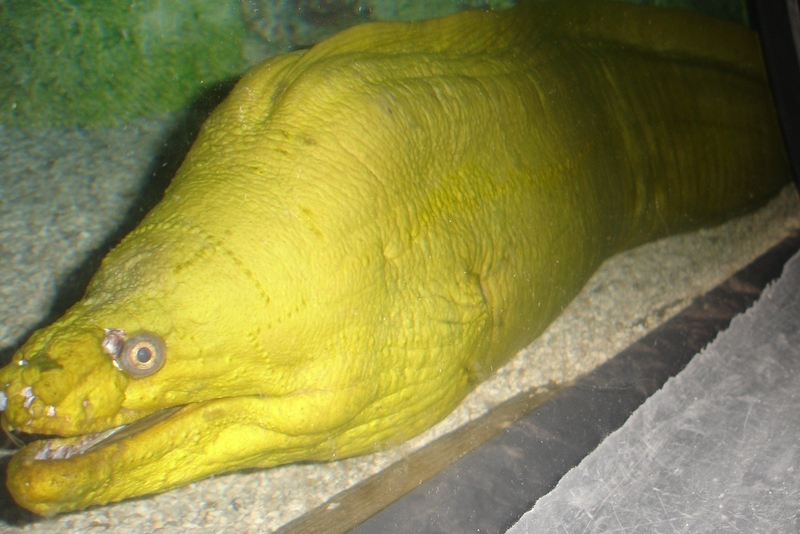 A very large eel that gets about 6 to 10 feet. Even though smaller ones do show up at LFS this is still a very big eel that needs a very large tank. It is very aggressive and should be kept by itself, especially when it gets large. Probably should be left in the ocean or in public aquariums. They should be fed with a feeding stick.